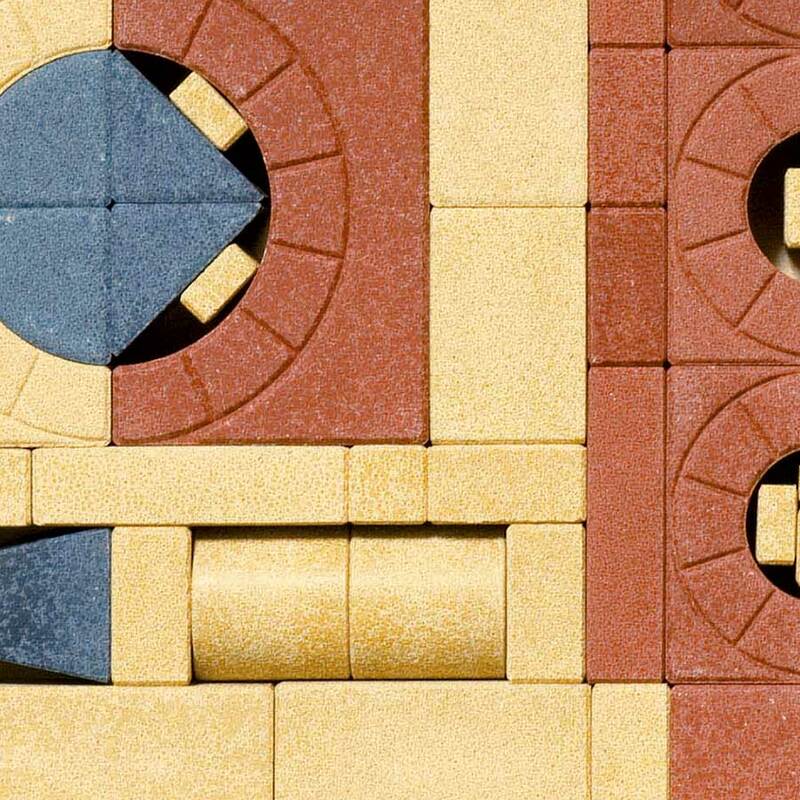 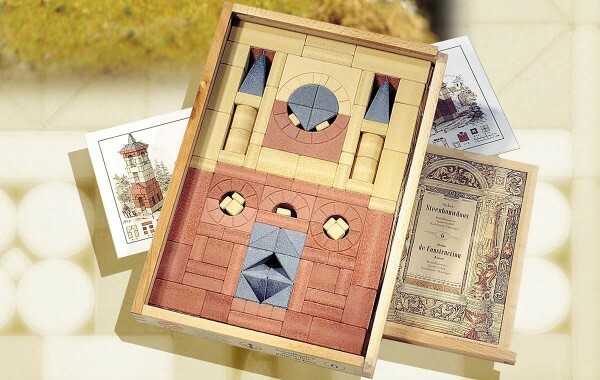 This classic style starter set number six (box 6) includes 105 stone blocks in the three standard colors; brick red, natural sand, and slate blue. 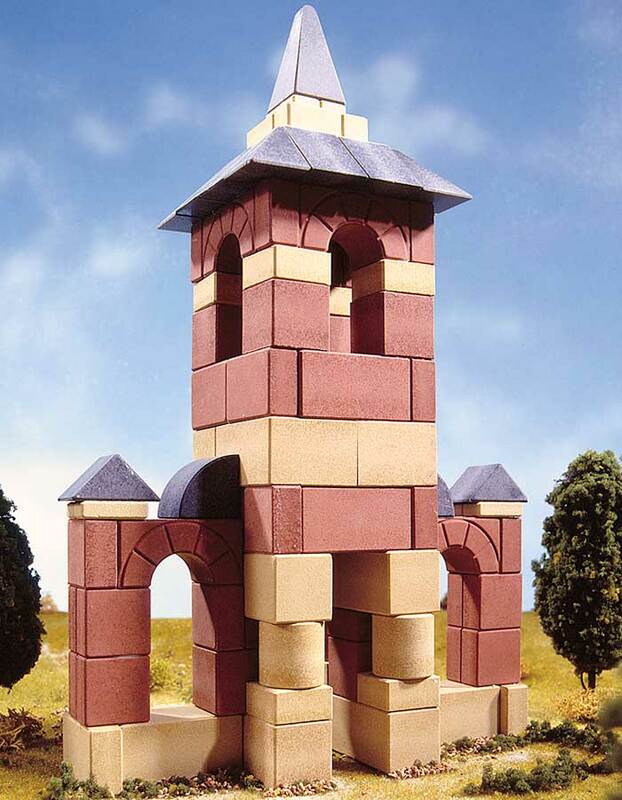 The Anchor Design booklet includes 42 plans for various models including a chapel and a watch tower. 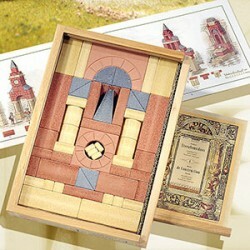 Packaged in the traditional wooden box for storage with a packing diagram and construction templates. 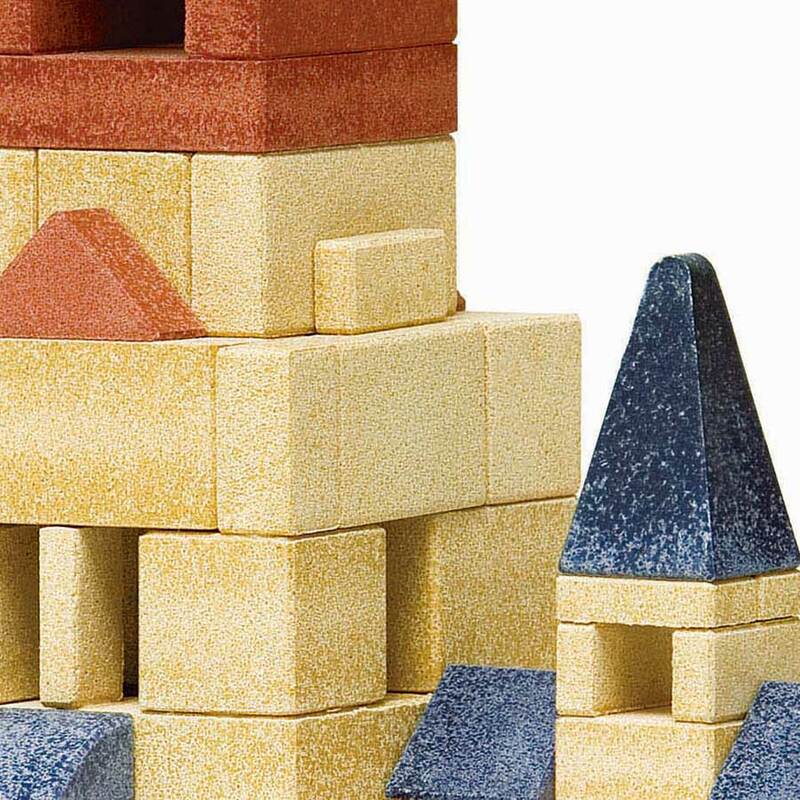 A more advanced choice than set number four for a beginner experience with Anchor Stones. 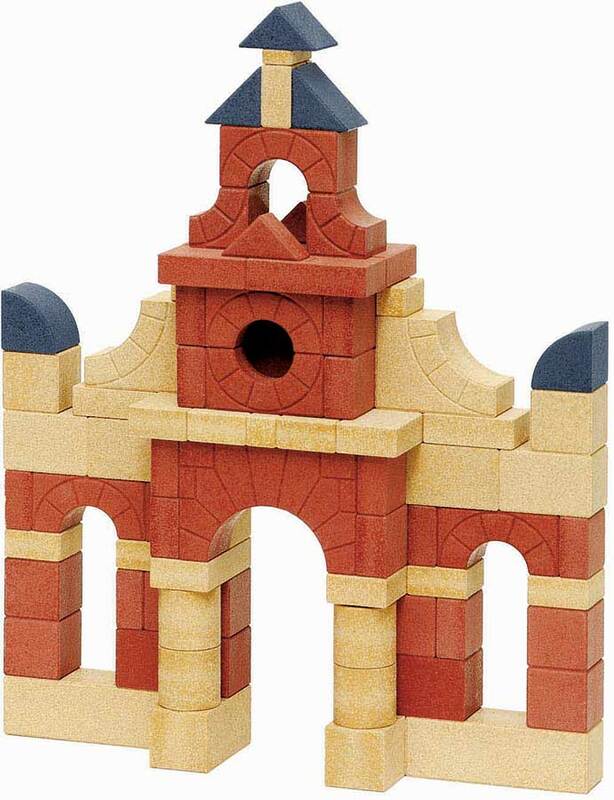 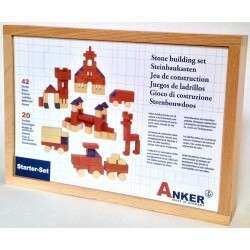 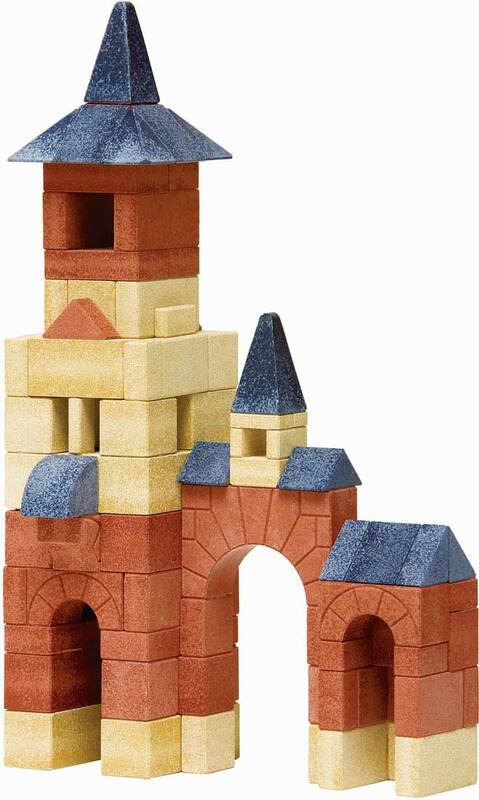 Useful for creative free-form building as well as building from the standard templates. 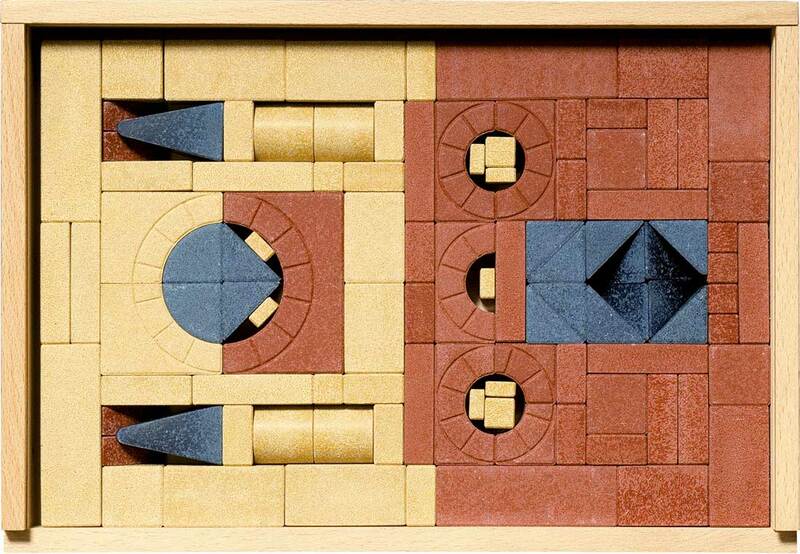 Add expansion set #6A for the equivalent of set #8.